one person who was active in the LSD culture and who started a commune. The technique I find interesting is the the one termed a 'knock down'. This paper, Manhood in the Age of Aquarius, focuses on LSD culture in the 1960s. One mentor, 'Morningstar' would administer ego busting 'knockdowns'. These could be sources of valuable insight. But...this magus turned out to be not quite sincere. I was never in any of MG's groups. But am passing this material on in case anyone finds it educatiional. "As Gaskin's grasp improved, Morningstar intended his knockdowns, more and more, to promote continued dependency. The process of breaking free from that dependency tested Gaskin's mettle on a number of occasions." their sincerity camouflaging their self-indulgence. The charm, wit, intelligence,and dedication of the (presumably) pseudonymous "Rockin' Jody Morningstar"earned him the respect of Gaskin and others for a time. At his best, Morningstar did not hesitate to knock down his friend Gaskin, when the latter's pride and ambitions as a serious tripper led him to reach beyond his actual grasp. But Morningstar also proved, in the end, to be the kind of teacher who preferred that his students remain forever reliant on his tutelage. As Gaskin's grasp improved,Morningstar intended his knockdowns, more and more, to promote continued dependency. The process of breaking free from that dependency tested Gaskin's mettle on a number of occasions. and Gaskin had supported himself in this way. professionalized, profit-driven transactions that increasingly marked the trade. you want to keep a couple of tabs to get high?" Gaskin stepped forward to declare his independence: "I am high. Ain't nothing you could give me that could get me high. Am high now." practitioner. Self-indulgence was rapidly diminishing Morningstar's astral powers. conventional suits. He visited Gaskin one last time before leaving San Francisco. recalls thinking, "A shadow of his former self." (Quote)Some of Gaskin's early lessons in the art of psychedelic self-defense came at the hands of fellows in his circle of bohemian literary outsiders. One, whom he identifies as "O.," a fellow graduate student, proved himself a skillful, passive-aggressive manipulator. His outward appearance bespoke deep suffering: emaciated and acne-pocked, he always wore the same unkempt black suit. character had it not been for O. 's skill at manipulating the social contract among heads, which, in principle, extended fraternity to all users of LSD. According to Gaskin, O. exploited his inclusion shamelessly, constantly badgering him to reveal the secrets of his LSD magic. Gaskin patiently explained, at times, how a particular book he was reading might help to explain some elements of the psychedelic realm. Yet when he moved from matters of technique to matters of ethics, O. dug in his heels. maximize his power and prestige with the least possible effort. Gaskin would later describe such undisciplined, parasitic power-seekers as "into the juice" developed by others (juice in the sense of electrical charge). Although O. did manage to turn one of Gaskin's close friends against him, he never succeeded in his efforts to cop Gaskin's mind. From these encounters, the future holy man learned that the power of LSD was available to all, regardless of character and integrity. Edited 1 time(s). Last edit at 08/17/2014 12:07AM by corboy. Do they really believe that those of us who do not choose their path are less evolved because we have the ability to find spirituality in our own lives without turning ourselves over to this charlatan? Or are they just fooling themselves? It takes time to build stamina to this kind of thinking. It begins by reading/studying Michael’s letters; those letters are in a perfect dose, although for some of us – they were hard to swallow. Then there is the order of the letters, building the all knowing Michael as the direct link to God. I found countless repetition in the letters, sublime, resulting in the perfect bait. Imagine the teachings as layers of building material, adding thin layers slowly and steadily, finally you have created an indestructible wall. That is how intelligent people stay in this trap. Then add weekly class the Mix. Class is a breaking down process – always under the microscope. Even the superstars have to broken to keep them in check, again just the right formula. Sadly, for people in RW, a good amount of their time is spent being broken, which is what keeps them there longer. They are constantly put in a hyperactive state of working on their growth. I guess that has its negative results because there are too many people in the group that never change their crap. Unfortunately, being with Michael gives them the false sense that they are growing. Are there people who have their doubts but stay forever anyway? I miss my old buddy. But I'll be there for him when he comes down from the mountain. I have seen this "euphoric high" in my friend. What causes it and how is it sustained? What you see is a person who wants to bring you into their Royal Way world. They think there is a big karmic prize for doing that. Also, it is a bold statement that they are better than you, after all, Royal Wayans think they are "one cut above." That euphoric high is not exclusive to Royal Way. It is available to ANYONE who seeks it. In my humble opinion, Michael is a pseudo teacher. He is a manipulative psychological genius or maybe his followers just created a monster. Now is a good time to reiterate, POWER CORRUPTS and absolute power absolutely corrupts. I imagine that eventually a person comes down from this "euphoria". Is that too, explained away by the leadership? The first letter Michael sends out to attendees of the first level retreat begins the explanation of the come down. It reads, "I am not speaking of a temporary low. Sooner or later, you lose the high. This is bound to happen. One cannot indefinitely remain on a high. Highs and lows are in the very nature of this plane of existence…and it is good that it is so. It affords us an opportunity for continual growth. The lows make it possible for the highs. Without valleys there can be no mountains. In fact, the lower the valley, the higher the mountain peak. The question to ask is: Where do you live and where do you visit? Some people make there homes in the in the deepest darkest lows; sporadically, they make it up the mountain…only to quickly to slip back down. The fortunate few, like the Himalayas, live at the peak of life. They also go down, but only to climb the next higher peak." Can you see how he begins the hook with that statement? If closely examined, all of our lives are just that, with or without Royal Way. But look at the manipulation "the fortunate few"…. And so the physiological journey begins. Is that why they stay with the group because they keep looking for that feeling? 1. There are those who enjoy being the "big fish" in the small pond. 3. There are those who don’t function in the real world. They have nothing - only Royal Way. 4. The majority fear the wrath of leaving. Which is a complete myth, but cleverly constructed by Michael. 5. There are many who think everything they have (only the good of course) is due to Michael. So there is great fear that they will lose it all if they go. The wrath of leaving is real. People you have known and grown close to will reject you and cut off their “friendship”. Husbands and wives will end their marriages if one of them leaves. Rejection by the teacher or leader is also devastating. It is a lonely road to take, psychologically debilitating. Many who leave deal with these engrams for 5 to 10 years on. 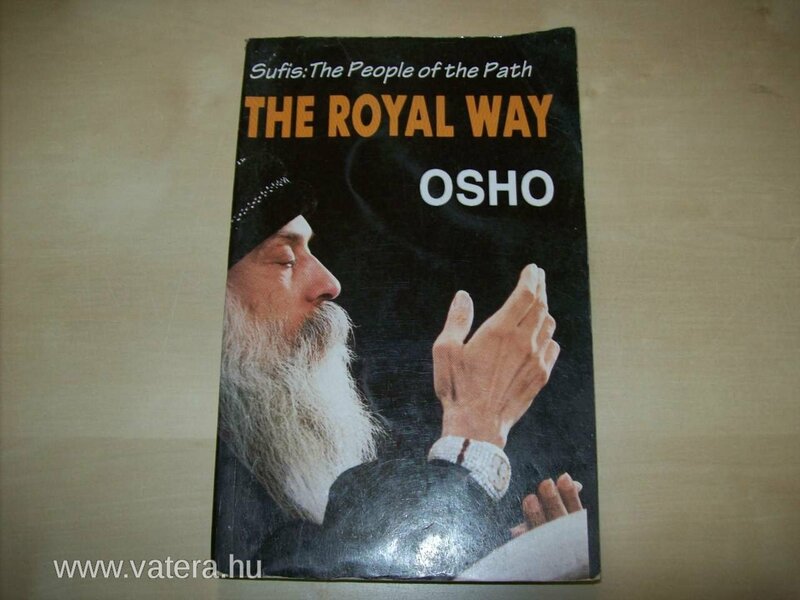 I recently found out the Osho had presented a series of talks entitled The Royal Way. I am looking forward to reading them. Edited 1 time(s). Last edit at 11/13/2014 05:45PM by Michael's Osho Secret. I believe they started this movement to battle a wind farm being built along the mountain range framing the RW ranch, but now they are fighting any large or small scale renewable energy projects being proposed in their high desert area. Do not be fooled. This is an internal Royal Way project disguised as an ecosystem preservation group. This means that part of it’s function is to keep RW cult members active and devoted to it’s agenda. Do you want to hold on to your members? Give them something to do! A cause! Keep the donations flowing! After all, they have lost nearly a third of their membership since Michael Gottlieb met his maker. Keep in mind that this secretive “church” bans all lesbian, bisexual, gay and transgender people from joining or participating. They are known to be hurtful and damaging to those who have escaped their brainwashing. I cannot imagine their intentions with this endeavor are altruistic. Edited 1 time(s). Last edit at 11/28/2014 06:00PM by Michael's Osho Secret. After years of studying with Michael and RW, I can say that my caring and interaction with others outside of the group was affected in a positive way. In RW a lot of time is spent working on listening, engaging, growing empathy, seeing things from a larger scope. It is also a secretive cult that will not allow you to participate without attending ritualistic retreats that “prepare” you for acceptance of their guidelines, including misguided practices. Everything you gain through the best of their teachings has a price. You are best advised to stay out and remain friends from a distance. Those who attend and leave earn a scarlet letter with members. Many members of RW are good people who have blindly given up a few basic kindnesses for their family membership in the cult. They refuse to see the dark side of their practices. There is a lot of hiding in class and in encounter groups around basic questions that any normal person would question, for fear of being challenged and cast out for ingratitude and disloyalty. Just about all that is gleaned from Michael’s teachings can be found through other means, specifically Osho and Eckhart Tolle. Practice of relating what you’ve learned in interactions with others can be done by seeking out related encounter groups. One does not need RW to learn the best of what is offered in RW. Edited 1 time(s). Last edit at 03/01/2015 09:00AM by Michael's Osho Secret. If a parallel between a teacher and Osho needs to be drawn it would definitely have to be Mr G. G’s work was in many ways esoteric Christianity and there was not much of that around Osho. Osho was like a sponge when it came to taking other teachers’ work and integrating it into his own. It was really a sign of his brilliance how he was able to do that. In the beginning everyone pretty much thought it was original. The turning point was when therapy groups became part of ashram life and Osho could no longer take full credit for his ideas. He could take credit for the unique way he coupled eastern mysticism with western psychology. I can remember spending 24 hours scrubbing a flight of stairs in the ashram with a toothbrush on a very hot day circa 1977 and cursing MR G for having involuntarilly lent his ego-busting techniques to Osho. I stuck it out for my own reasons but could not accredit such an absurd exercise to any kind of spiritual awakening other than learning that I detested the ridiculousness of it all. When Osho authored The Supreme Understanding many sannyasins were influenced by the idea of manual labour in the ashram as being the true path. Whether it was or was not is now, in retrospect, irrelevant because what really mattered was that things got done on a monumental scale with little in the way of complaining. I’d say the same must have applied to the ranch on an even greater scale. Osho created a willing colony of worker ants to build the ranch for free, probably some even paid to participate. Now, in terms of creativity that is pretty smart. Pity about it all going pear-shaped but such was life with Osho and it’s history now. So, yes, there are many comparisons that can be drawn between Osho and Mr G. Then again, if one cares to read The Supreme Understanding one could also draw comparisons with Osho and the great tantric masters, who set impossible tasks for star disciples and created enlightened people in their own right. Whether anyone actually became enlightened as a direct result of their contact with Osho is, of course, up for debate. One thing is for sure though; he sure left us with plenty to discuss.